Qomo Journey 13 55'' Interactive Touchscreen Display is part of the comprehensive new Journey 13 series by an industrial leader. 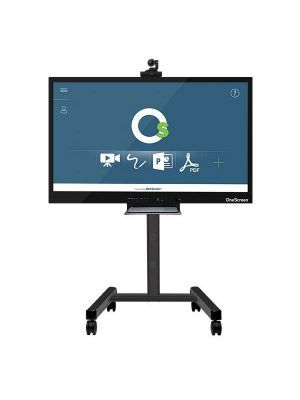 This state of the art touchscreen incorporates the latest technologies to give users the collaborative experience they desire. This Qomo Journey 13 is a 55“ LED touchscreen display with HD resolution that ensures a clear, lifelike view on the display. 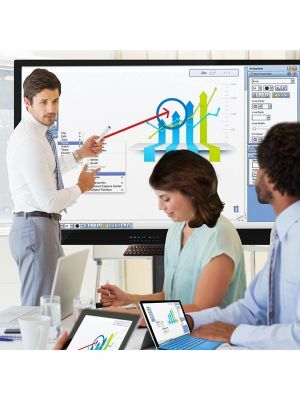 Multi-user interactivity is guaranteed by the 10 point multi-touch feature. 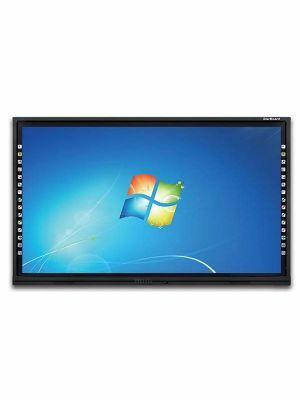 This makes it ideal for interactive whiteboard applications, presentations, and meetings involving multiple active participants. Qomo has made sure that its new series is more intuitive and interactive than the competition. To make this possible, Journey 13 55“ touchscreen display has been installed with Android 5.0.1, which makes it extremely easy to use with its expressive menu, clear options, and easy to operate interface. To facilitate collaboration, an improved whiteboarding app has been introduced that allows annotations of all kinds to be made on everything including media files and browser. Moreover, a complete software package for office users is also pre-installed, which includes MS Office Suite, Youtube, and Airplay. To enhance communication quality, Qomo has integrated its popular QConnect feature in the Journey 13 series. This means that screens of 30+ connected devices can be shared via a single platform, making it a great tool for presenting to an audience with personal display smart display devices. Qomo Journey 13 55'' Interactive Touchscreen Display is certainly one of the best contemporary markets have to offer. Its functionality and ease of use have carved it out an identity of its own and made it a must-buy for professionals around the world.